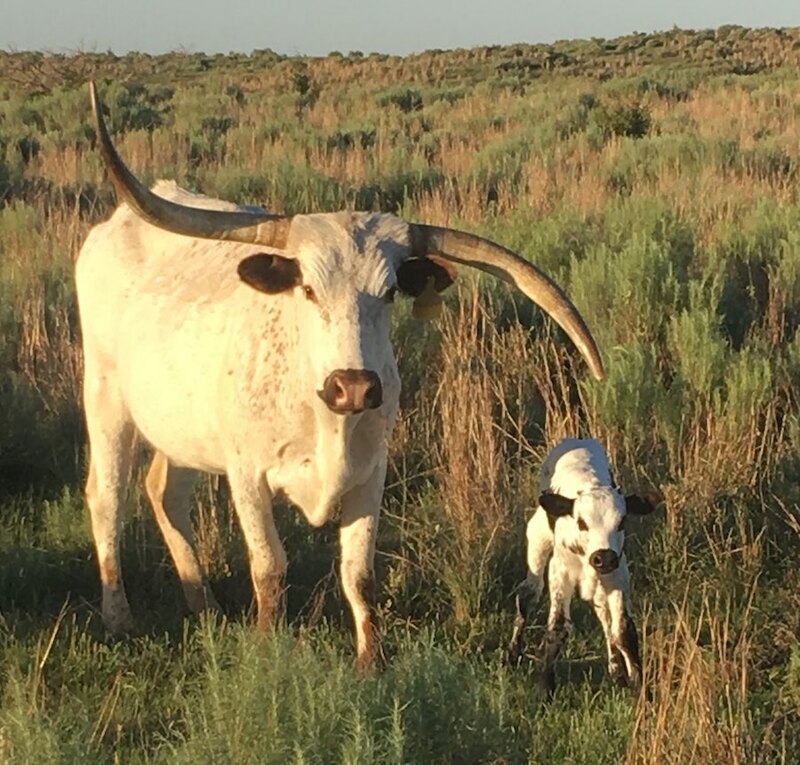 Our family of four is relatively new to the Texas Longhorn Industry, but we find it fits well with our lifestyle and something the whole family can enjoy. In 2015, Brad and Michelle bought their first longhorn which turned into four before they drove away. Since then they named the ranch, Crooked Horn Ranch, after one of those first cows. The ranch now consists of 45 cows, both commercial and registered longhorns. We are located in Sharon, OK. With our longhorn program, we are continuing to learn and are striving to produce the whole package to best improve our herd. Confirmation, horn, good mothers, color, and gentle dispositions are sought after. We have added some exciting heifers to our program in 2017/2018. We recently purchased two promising bulls, Cowboy Casanova's Pride from Richard/Jeanne Filip and Rusty/JoAnne Clark and 2018 bull calf TBA175 (Jammin Tex x CV Rim Rock's Rose) from Todd and Kelli McKnight. This year, 2018, we have used two reference sires Trued Up, owned by Bull Creek Ranch and Rim Star owned by JBR Longhorns and A&S Land & Cattle. We are excited the influences these bulls will be bringing into our herd and look forward to future offspring. We are with our cows nearly every day and many are handfed. They are like extended family, each with their own distinguished personality. Thank you for visiting our site! We enjoy the industry and the good folk and stories behind them all. We can not hardly wait for future calving seasons! Stop back in for future site improvements!